Many victims of negligence such as those injured due to medical malpractice, a drunk driving accident, or a slip and fall accident face uncertainty, especially if they have a large family who depends on their earning capacity. 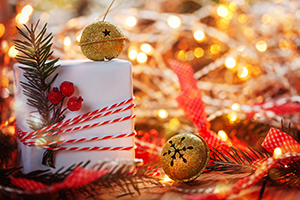 A modest cash advance can help them get through the Christmas time so they can still enjoy the holiday with friends and family without worrying about finances. Why Choose Pre-Settlement Funding Through Legal Capital Corp? There are a variety of companies who offer pre-settlement funding, but their processes might be convoluted with hidden fees for your injured client. Our Chicago-based company believes in transparency, so victims know what they’re paying for in return for the cash advance on their personal injury settlement. Our pre-settlement loans have a low, flat fee, which is $600 for all cases that are resolved within nine months of the cash advance and a cap of $1,500 for cases that take longer to settle. What truly sets Legal Capital Corp apart from the rest is that we assume the risks when we give your client money. If the case is not won, your client doesn’t pay us back. We take the loss because we understand this funding helps those injured in accidents to rebuild their lives. You or your client contacts us with basic information regarding the claim. We request key documents from your law firm. We make a decision right away and issue an offer to your client. Once they’ve accepted the offer, they have the cash advance within 24-48 hours. We know attorneys are always busy fighting on behalf of their clients, seeking justice and compensation for injuries. That’s why we don’t require you to fill out any paperwork. All we ask for is a few pieces of documentation, and we take it from there. Legal Capital Corp has provided personal injury settlement cash advances for nearly 20 years. We’ve built strong relationships with several law firms who trust our judgment and routinely send victims of auto accidents, slip and fall accidents, and other forms of personal injury to us apply for pre-settlement funding. Does Your Injured Client Qualify for a Cash Advance? If you’re the injured victim or you think your client’s case qualifies for a cash advance, please contact us today by calling (312) 204-7939 or fill out our simple online form. Legal Capital Corp provides pre-settlement funding for personal injury cases in Chicago and nationwide.